Our members are committed to giving back to the UCSB & Isla Vista community. Our programs range from outreaching to lower-income high schools to come and tour the campus to cultural student events bringing together multiple organizations, faculty, and staff. Members go beyond their roles as students participating in committees to help prepare and partake in student-enrichment programs. Be sure to check out our newsletters! First event & welcome back dance open to all UCSB students is hosted by Hermanos Unidos! Every year this event grows larger and larger, to the point where we have a line waiting outside the door to get in. This is the perfect event to kick off the year with a bang, let loose in a safe environment, and really have the club going up... on a Tuesday ! Once a year, Hermanos Unidos duke it out against Hermanas Unidas in an all out battle of the sexes ! Through physical challenges and gender-specific trivia, we two organizations engage in a friendly competition to see who is the top contestant. Through this event, we learn more about each others organizations and build the Hermandad between our members. ​Every quarter, we invite our members to join our org sponsored intramural team. This FALL we will be sponsoring an HU team to take part in the IM Soccer Outdoor League at UCSB. Come to our meetings to learn more about how you can join! 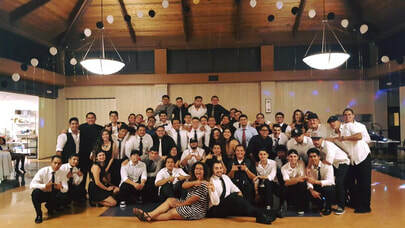 Hermanos Unidos has annually put on Latina Appreciation Night for 200 UCSB Latina woman. Night included dinner sponsored by our members. Games and raffles with multiple prizes won throughout the night. A "Baile de Sopresa" put on by a group of our members. 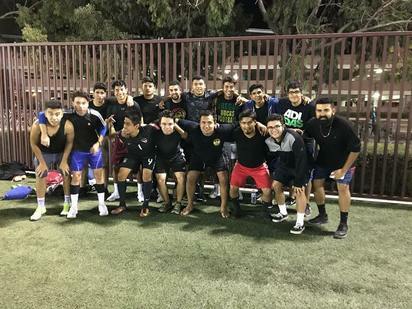 ​Hermanos Unidos partners with other multicultural organizations to put on a multitude of recreational games & entertainment for the families and children of Isla Vista. Hermanos dress up in fun costumes to participate in games at other organization's booths. ​Hermanos Unidos every year puts on a breakfast for the custodians that work at UC Santa Barbara in an effort to show our gratitude for them. Our Hermanos prepare the entire meal from cooking the food the night before to setting up to serving. Every year this event is a success as it is one of our biggest community service events.